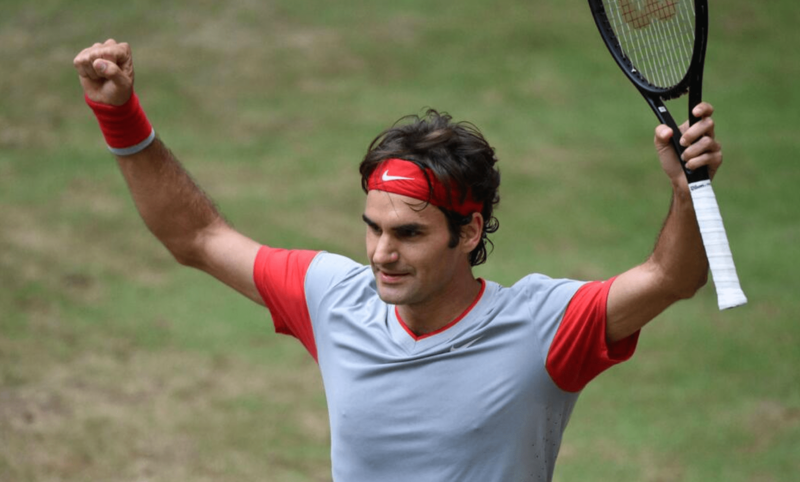 Roger Federer defended his crown, lifting his seventh title Sunday at the Gerry Weber Open in Halle. He defeated Alejandro Falla in two tiebreak sets, 7-6 (2) 7-6 (3), in 89 minutes. The Swiss maestro lost an opportunity to serve out the first set at 5-3, leading to a tiebreak. There was no danger in either tiebreak however, as Federer cruised to clinch both. The 32-year-old Swiss claims his 14th grass court title, and 79th of his career. He improves his record in Halle to 46-5. The victory caps a great week for Federer ahead of Wimbledon (begins June 23). In the doubles final, Begemann/Knowle defeated Federer/Chiudinelli 1-6 7-5 12-10. Wimbledon – 67-8. 7 titles. Halle – 46-5. 7 titles. Dubai – 42-5. 6 titles. ATP World Tour Finals – 44-11. 6 titles. US Open – 67-9. 5 titles. Basel – 51-9. 5 titles. Cincinnati – 32-8. 5 titles.